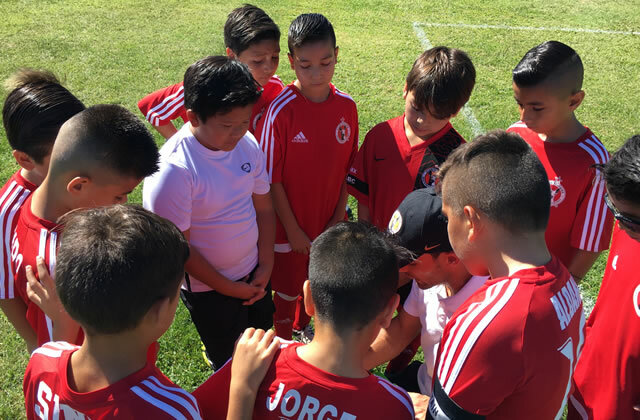 SAN YSIDRO, Calif. -The Xolos Academy Boys 2006 team played to a 2-0 loss against Imperial Valley United FC Saturday in Presidio League play at San Ysidro High. The Xoloitzcuintles endured heavy pressure by Imperial Valley. The visitors brought on an onslaught of attacks against the Xolos Academy defense. The Xolos youth team were able to withstand the attack through a handful of saves made by goalkeeper Felipe Reyes. Imperial would have scored on another set of occasions if it wasn’t for Reyes’ stout play on one-on-on situations. But Imperial was able to break through on goal and headed into half time with a 1-0 lead. It was more of the same in the second half, as the Xolos found it difficult to break into their opponents’ final third. United sealed the win with a goal coming off a curling effort outside the box, leaving the goalkeeper with no chance. The 2006 boys will not face Aztecs FC on Saturday Oct. 8 at Montgomery Waller Park.